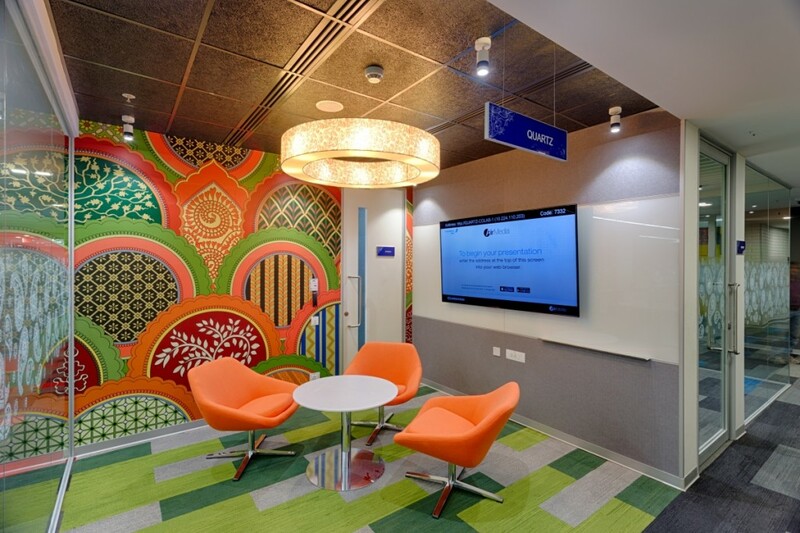 Think cool offices in Hyderabad, and it’s often hard to think beyond Google. 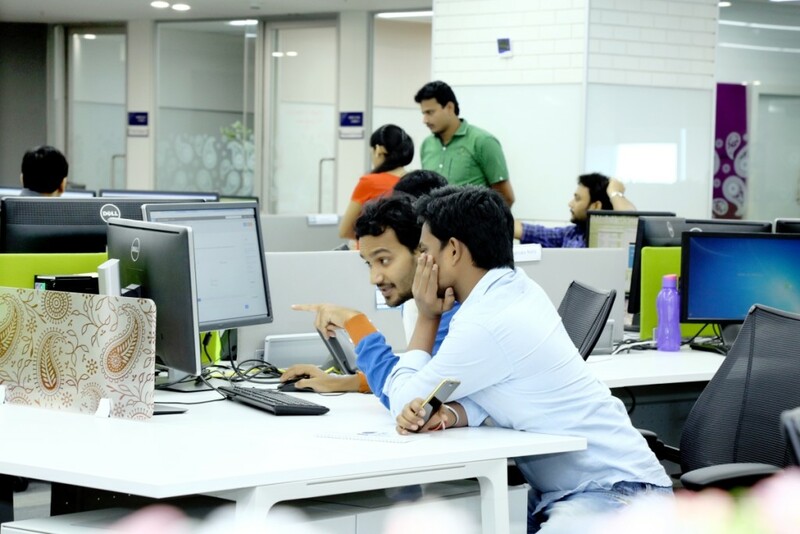 But tucked away on the 13th and 14th floors of Raheja Mindspace Park in the IT suburb of Hyderabad, is the modern, stylish office of Pegasystems. Pegasystems is an American software company founded in 1983. It specializes in developing software for Customer Relationship Management and Business Process Management. It has offices in India in Hyderabad and Bangalore. The Hyderabad office is spread over 117000 sq. ft and houses around 900 employees across R&D, Finance, and Communications teams. The company moved into this office a year ago. 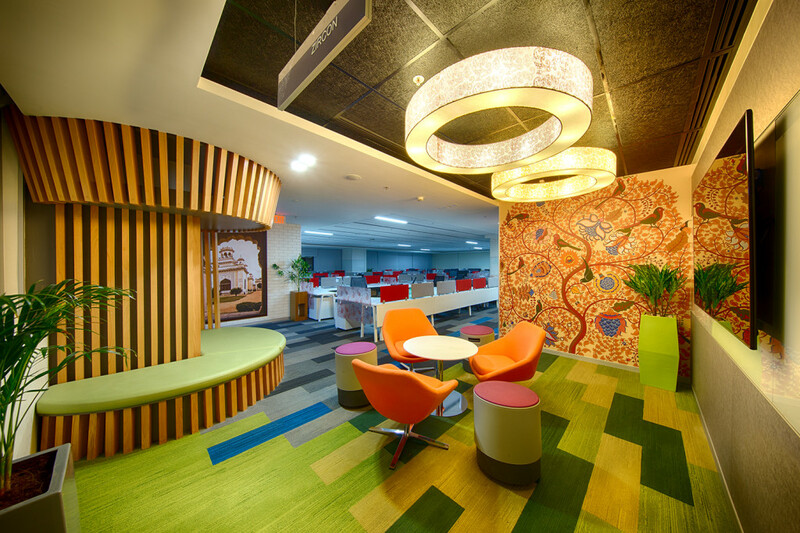 The office is modern, but has a distinctly Indian feel. “We are a global organization, and it’s always nice to give our expat visitors a flavour of the country when they’re visiting”, says India MD Suman Reddy in an exclusive chat with OfficeChai. The India theme permeates throughout the office. Conference rooms are named after important Indian and Hyderabadi landmarks, and the games rooms (there are three of them) all have a unique Indian game along with the usual pool and foosball tables. 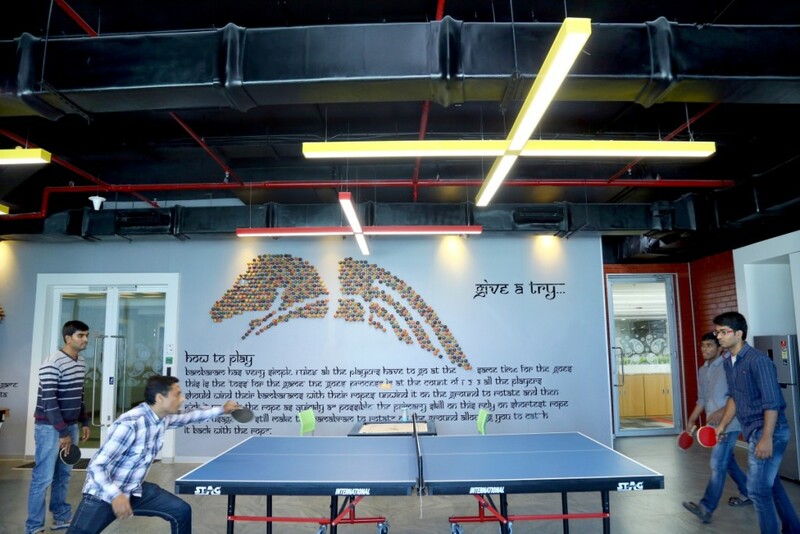 Employees can either play Snakes And Ladders on a giant board stuck to the wall, or destress with Bambaram, a traditional Indian game involving tops. 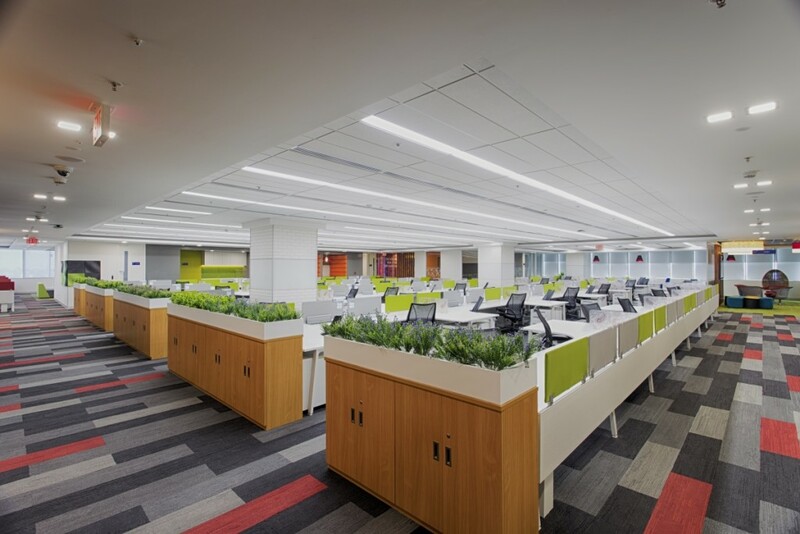 The office has numerous collaboration areas sprinkled across its floors. 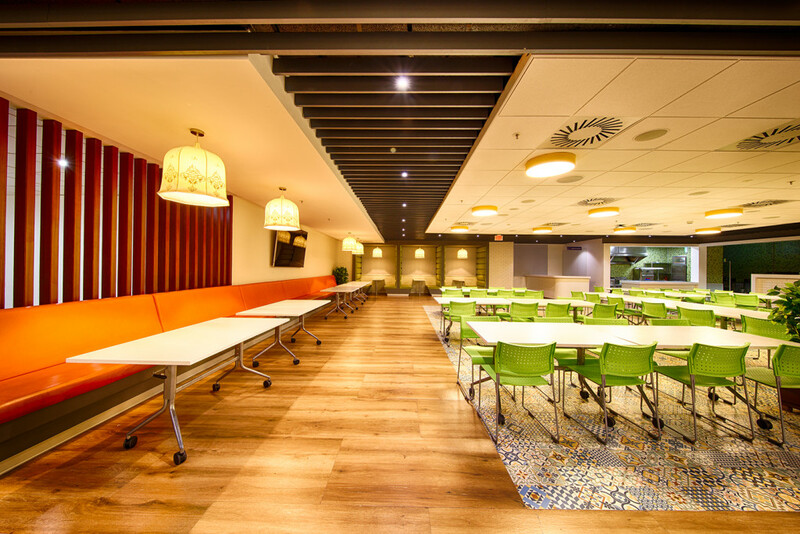 These are open spaces without doors that enable employees to quickly get together for chats and meetings. 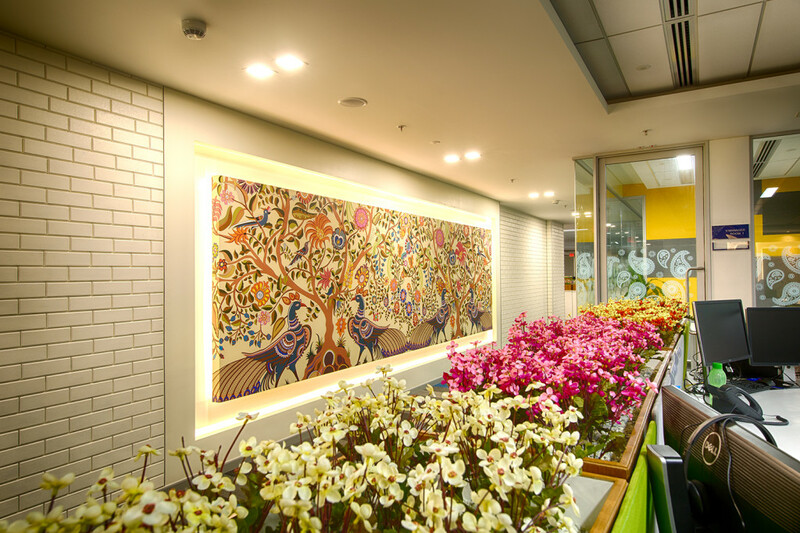 “These spaces have had a humungous impact on productivity”, says Reddy. While the culture in the office isn’t exactly of the t-shirts and flipflops variety, the employees get some serious work done. 78% of Pega’s global R&D takes place in India. The employees are pampered with free breakfasts and lunches in the company cafeteria. Lunches often extend to the company’s large, imposing terrace. 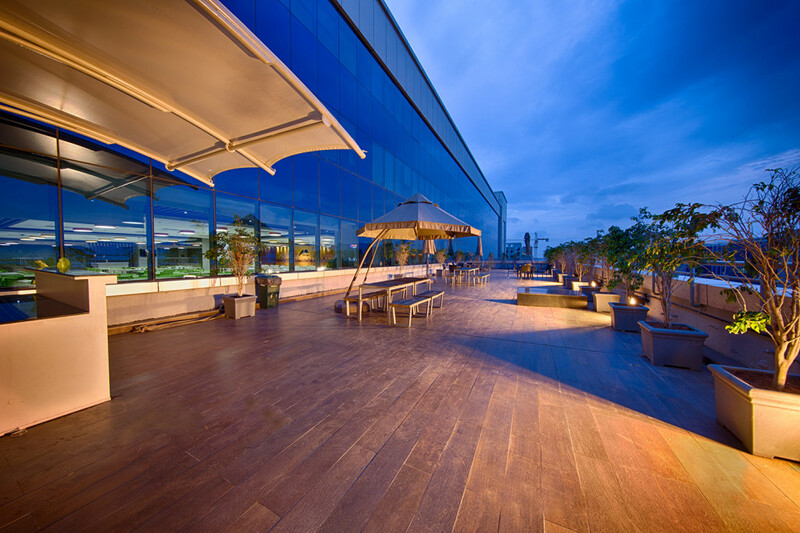 The terrace offers a panoramic view of the Mindspace park and beyond. It an ideal spot to catch a break, or to rewind after a hard day’s work.